Well, not had much to write about fishing recently what with work, the weather and other committments, so thought it was about time I wrote something. 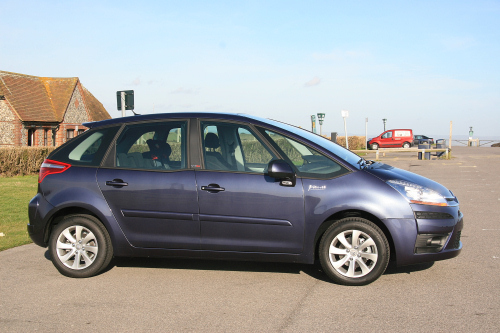 We took delivery of our new car last week as it had been time to get rid of the old wagon, a 2001 Renault Laguna Sport Tourer. 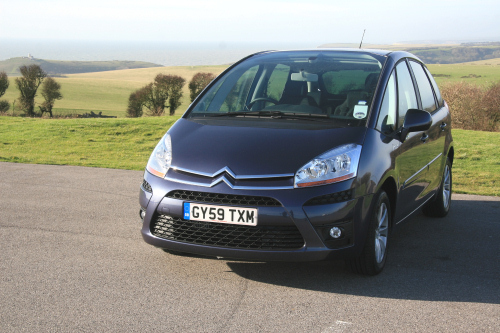 It was a toss up on the new one, between a Renault Scenic or a Citroen C4 Picasso. 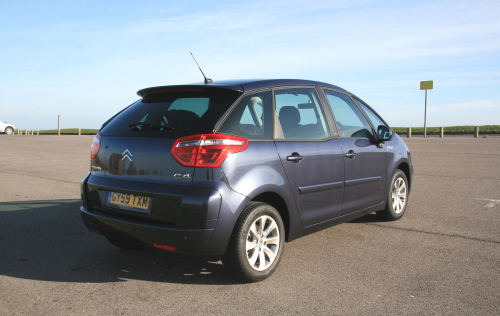 In the end, the Citroen won as it was the only one that was both diesel and automatic; not really strictly an auto but EGS which basically is like a sequential manual box but can be used in either auto mode or manual shift via ‘Flippy flappy’ paddles. Engine wise, I opted for the 1.6 litre HDi turbo diesel which combines reasonably good performance with good economy. I’ll miss the performance of the 3.0 litre V6 I had but 50+mpg is a damn site more attractive than the 20 I was getting before. We haven’t done a long distance trip yet but so far, it has proved to be an absolute joy to drive – comfy, roomy and with plenty of ‘toys’ to fiddle with. The seats are a bit on the firm side firm but are supportive with plenty of adjustment to get the driving postion just perfect. All the controls are well laid out, with the vast majority being controlled from the multi function steering wheel central hub which remains static and independant of the steering wheel itself. It’s a bit weird at first but is a fantastic idea and something I think other manufacturers should think about. As for fishing – well there’s plenty of space for all the stuff I usually lumber myslef with, so there’s no problem there. I just must be careful and remember not leave items such as buckets with bait remnants and other stuff lying around in the boot to fester and ruin that lovely ‘new car’ smell.